With more than 500 species, the Aloe succulent has been used for thousands of years to heal a wide array of health conditions. 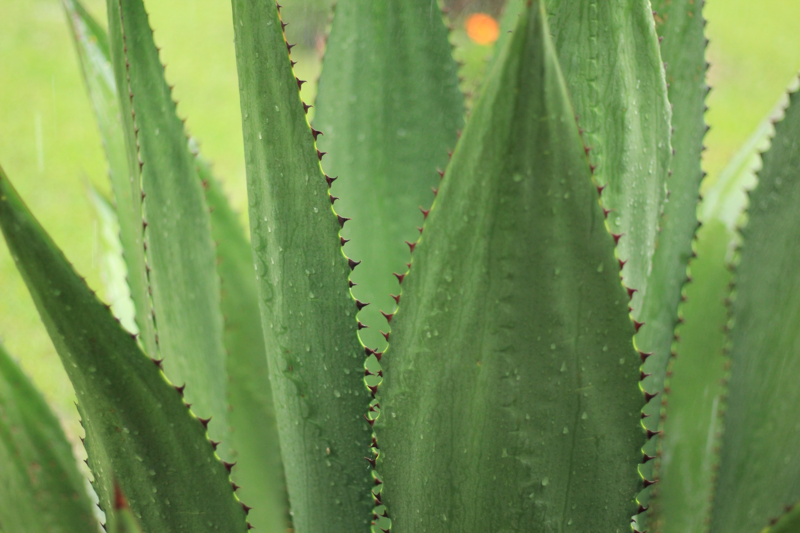 We use aloe to help with anything from digestion to dry skin. And it’s one of the only plants that you can use in its exact natural state. But aloe is most commonly just one of many ingredients in a health care or beauty product. That’s not a bad thing, but did you know that you can literally break off a piece of an aloe vera plant, cut it open and glide it directly on sunburnt skin to sooth it? The gel inside the leaves, which is 99 percent water, reduces pain and inflammation to speed up the recovery process when you burn or cut your skin. Aloe can also be ingested. There are many juices and drinks on the market that contain a broken down form of the outer green leaf part of an aloe vera plant. Aloe vera juice is said to help with weight loss, digestion and clearing our skin. While these things are great, there are some concerns regarding the consumption of aloe. There isn’t tons of research on it or hard proof. We think it’s best to use to aloe in a low commitment type of way: in our hair products. It’s super easy to try a new hair product and see how it affects our daily appearance. And the best part is, if we don’t like the way a product is working, we can rinse it out and try again. An organic blend of aloe and wheat protein are used in the Be Curly Style-Prep to help define a curl or wave in our hair. This product is great for people with textured hair that doesn’t dry how they want it. The aloe blend expands when it’s wet (apply to damp hair) and retracts when hair is dry to form a clean frizz-free curl or wave. Another popular Aveda product that contains aloe is the Smooth Infusion Shampoo. Containing a blend of organic aloe, maize and guar bean, this shampoo is ideal for people with thick, hard-to-tame hair that also has a lot of texture. It’s not only for people with straight hair, it’s for people that want straight hair, too. The formula creating this shampoo smooths the surface of each strand to create a fluid look. The ingredients also help soften our strands so hair is more manageable and less frizzy. Use this aloe-infused shampoo for silky, moisturized hair. Aveda also makes their own form of an after-sun cooling gel. The Intensive Hydrating Masque is made for deeply dry complexions, but we think it’s amazing for deeply dry skin all over the body. This oil free masque contains kelp, lavender and of course aloe to help cool skin and restore it with tons of moisture. The masque also contains rosewater to help calm irritated and inflamed skin. This product is essential for those long days in the sun.